US 58 trailblazers approaching the southern terminus. Photo by Mapmikey. VA 308 from US 58 westbound. Photo by Mapmikey, taken March 6, 2010. 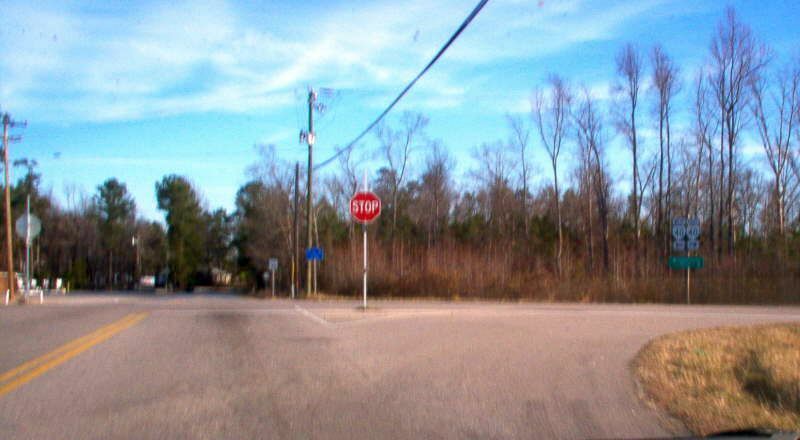 The first (and probably only) southbound VA 308 shield, just south of the northern terminus. Photo by Mapmikey. 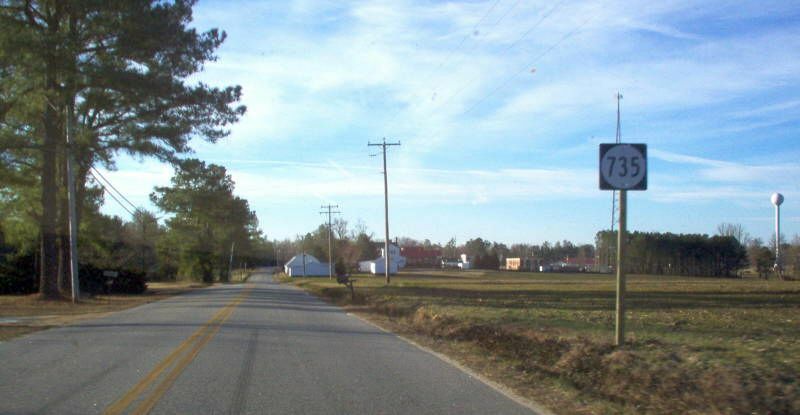 From 1937-49, There was a longer northern segment (the original VA 308 segment), that ran from VA 40 at Sussex CH south to the Southampton County line. 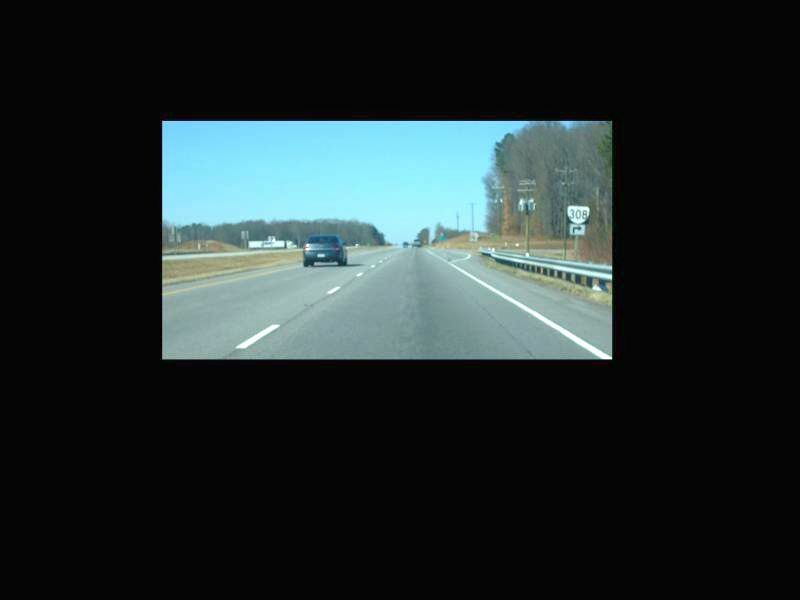 Here is the view looking north at the county line. Photo by Mapmikey, taken February 19, 2006. 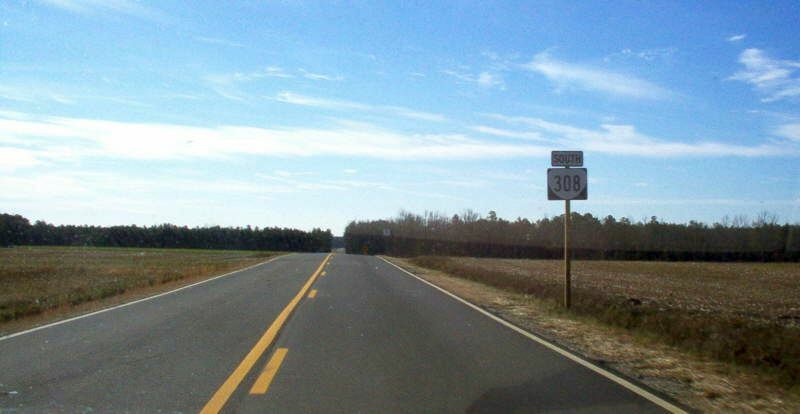 From 1937-49, There was a longer northern segment (the original VA 308 segment), that ran from VA 40 at Sussex CH south to the Southampton County line. 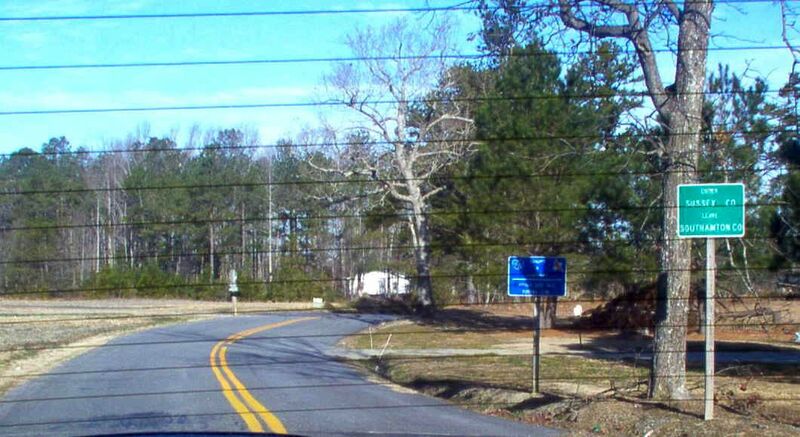 Here is the view of old VA 308 (now SR 735) leaving VA 40. Photo by Mapmikey, taken February 19, 2006. 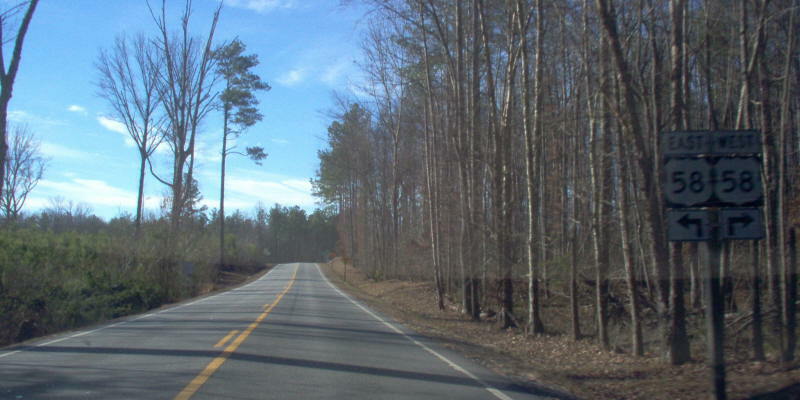 Old VA 308 approaching VA 40. Photo by Mapmikey, taken February 19, 2006.